Click here to view our Google calendar! Register for classes, camps and events or to make a payment! New students must bring a filled out registration form with them on the first day of class. Click here to view and print out the registration form. Focusing on pure technique, ballet is the foundation of all dance forms. Dancers will move through a series of exercises beginning at the barre then moving to the center and performing combinations including balancing exercises, turns, leaps, and jumps. Ballet develops the dancer’s alignment, balance, flexibility, grace, and poise. A stylized form of dance taking root from popular music and dance forms with basic ballet technique. Jazz is a broad from of dance that is individualized by each teacher. Students will learn alignment, flexibility, balance, turns, leaps, and jumps usually performed to upbeat popular music. A slower style of jazz pulling more from ballet technique using turned out and parallel positions. Students learn alignment, flexibility, balance, expression, and focus. Lyrical dance is usually performed to complement the lyrics of a song, telling a story through movement. A style of jazz dance that uses metal taps attached to the shoe to make rhythmic sounds. This form of dance uses ballet vocabulary and focuses of rhythm, musicality, and basic jazz principles. A style of jazz dance made popular by street dancers in California and New York. Dancers will learn rhythm, style, and improvisation, not focusing on technique, but allowing each student to find their individual style in relation to the music. 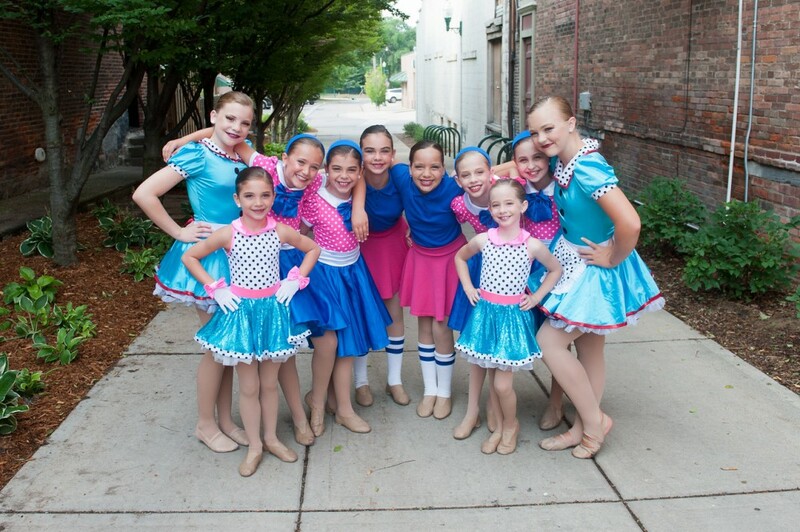 Designed for the young dancer, creative movement incorporates props, games music and fun to encourage students to think creatively in addition to learning basic ballet technique. 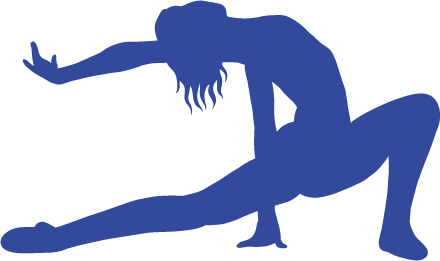 Students will go through a series of stretches, barre work, across the floor steps, and center floor activities. Students must be potty trained in order to participate. 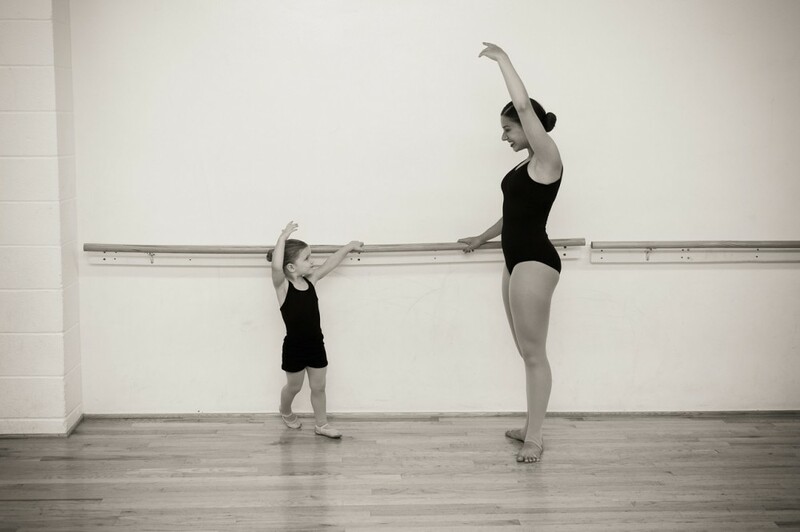 Floor progressions focusing solely on leaps, pirouettes and skills help your child develop his/her skills. Your child’s first dance class! Filled with music, playful interaction and dance, this class is designed for our youngest dancers! Creative Movement with mom (or dad too!). Get ready to wiggle, jump and move to music, props and fun! A form of dance that began as a rebellion to ballet, shedding tight clothing and ballet slippers, modern dance is the purest form of dance as an art. Dancers learn basic ballet principles with an emphasis on style and dance in bare feet. Improvisation is used as a means to let the students explore their own creativity as a dancer. Students dance to a wide range of musical forms, usually without lyrics. Acro is a unique dance style combining tumbling and dance which develops great flexibility and strength to achieve balances, lifts, bends and splits. A style of jazz that references Broadway choreography. Dancers learn basic jazz principles and help develop acting skills and facial expression through theatre activities. A form of dance team style jazz that focuses on synchronization and strong, sharp movements, especially of the arms. Dancers learn basic and advanced pom drills and combinations to emphasis unity and precision. Do you have a big event coming up? Learn to dance like a pro at any social dance! Students are required to wear tight fitted clothing including but not limited to leotards, skirts, tights, shorts, leggings, tank tops, etc. Sweatshirts, sweatpants and jeans and not permitted. Hair must be pulled back and out of the face. Students must wear the appropriate dance shoes for their class. Socks are not permitted on the dancefloor. Shoes, tights, leotards and skirts can be purchased at Dancer's Edge at the front desk.